A very enjoyable evening was had by all in the Pavilion with the Choir performing with children from Rhewl School and their soloist being the excellent Megan Mitchell. 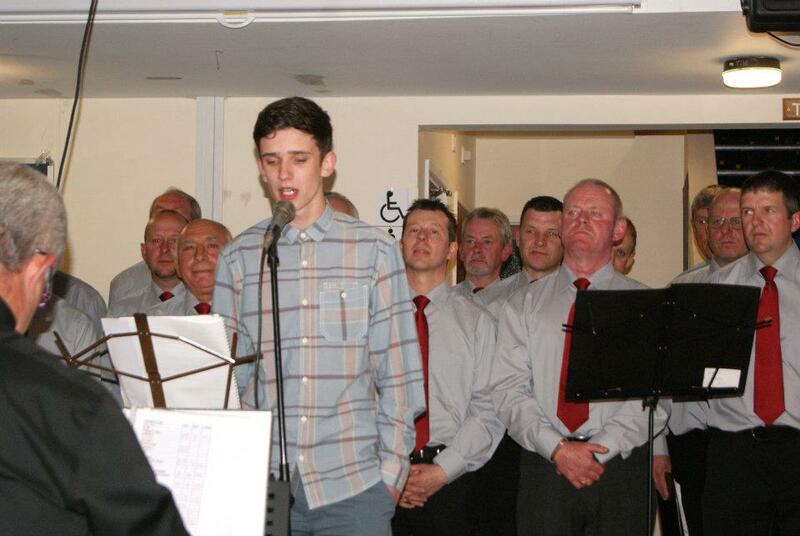 Geraint Evans represented Rhewl Chapel and sang two songs. 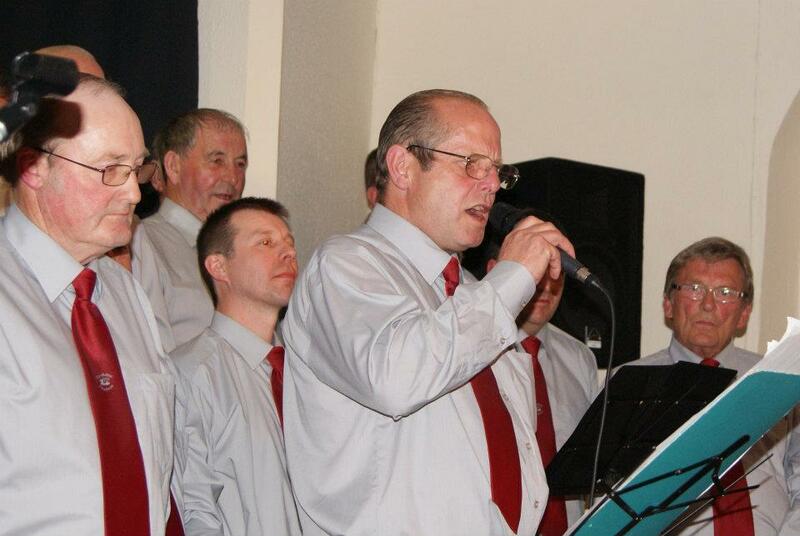 Bryn Jones was the compere and Wyn Jones, Brian Hughes and Eirlys Jones were the soloist with the choir. 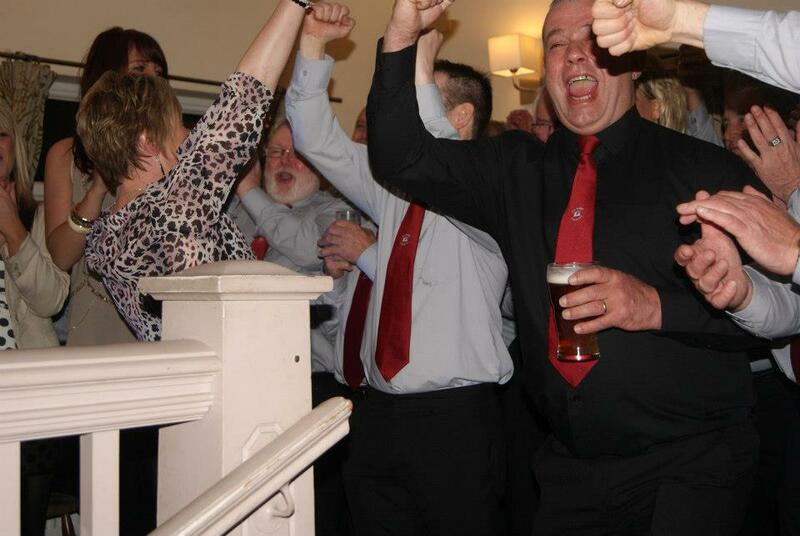 After the success in the Semi-final of the W.J.Lees Pub Idol Competition in Warrington – the Choir took part in the final in Rochdale on Thursday December 6th. 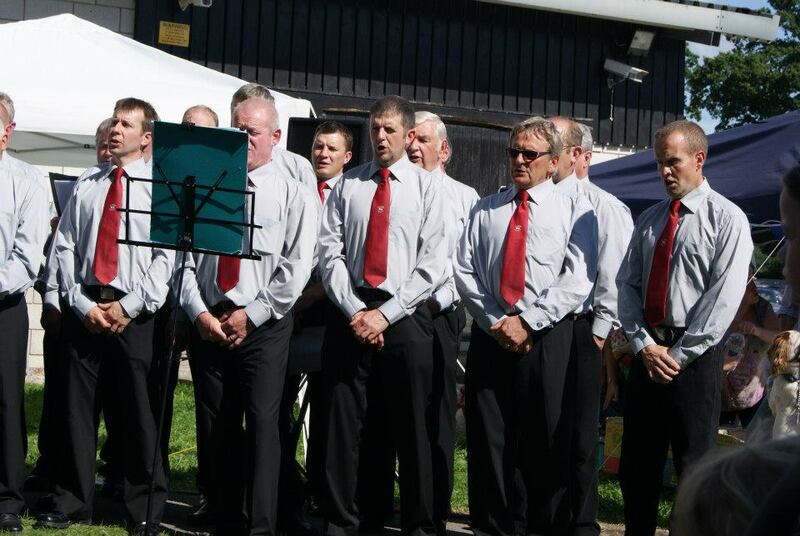 Two coaches were hired to take the choir and followers to educate our English neighbours in some Welsh culture – unfortunately our efforts fell on stony ground – however the choir took 4th place out 10 contestants – one point behind 3rd place. There were some excellent performances and we all thoroughly enjoyed the evening; the audience enthusiastic response to our singing made all our efforts worthwhile. 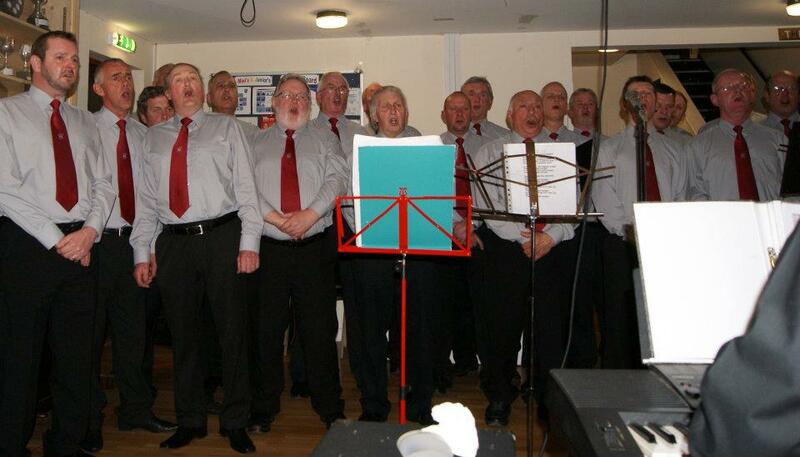 The Choir took part in two events on December 1st. The first was a slot at at Ruthin Xmas Medieval Market on the square and a large crowd assembled and with the choir on form everyone enjoyed a lovely afternoon. Later in the day the choir attended the Llanferres Senior Citizens Xmas party at the Druids Inn; again the choir enjoyed themselves and were very grateful to to the wonderful welcome received from the local Committee, the Druids Inn and of course the audience. 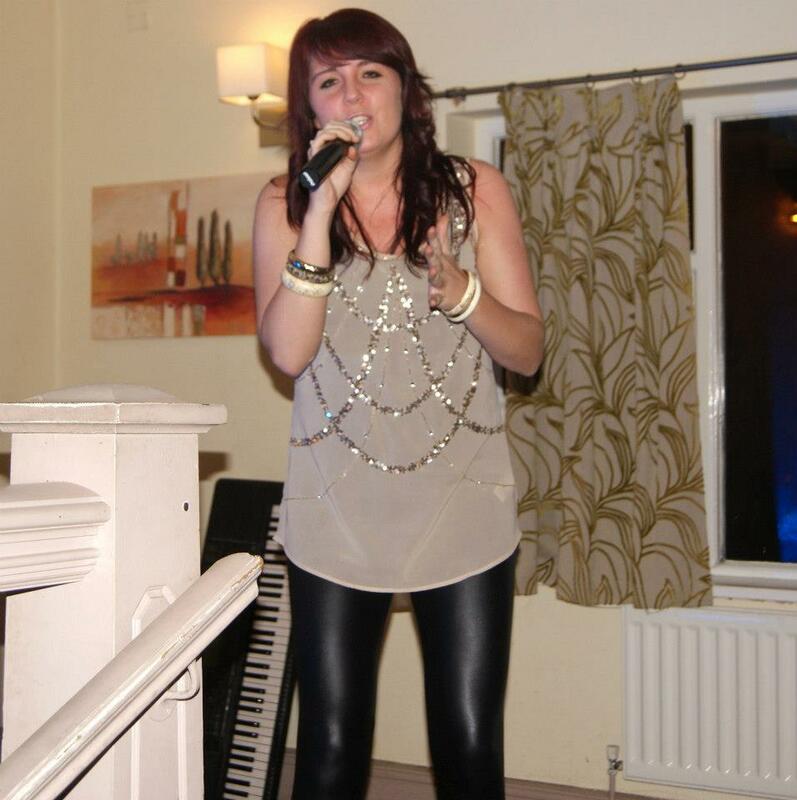 The Choir took part in in the semi-final of J.W.Lees Pop Idol competition. The Choir sang two songs – “Let it Rain” and “The Lion sleeps tonight” with Brian and Eirlys taking the lead roles. We were very impressed with the other six contestants and were delighted(as the photo below shows) with being selected to participate in the Finals night in Rochdale on December 6th. 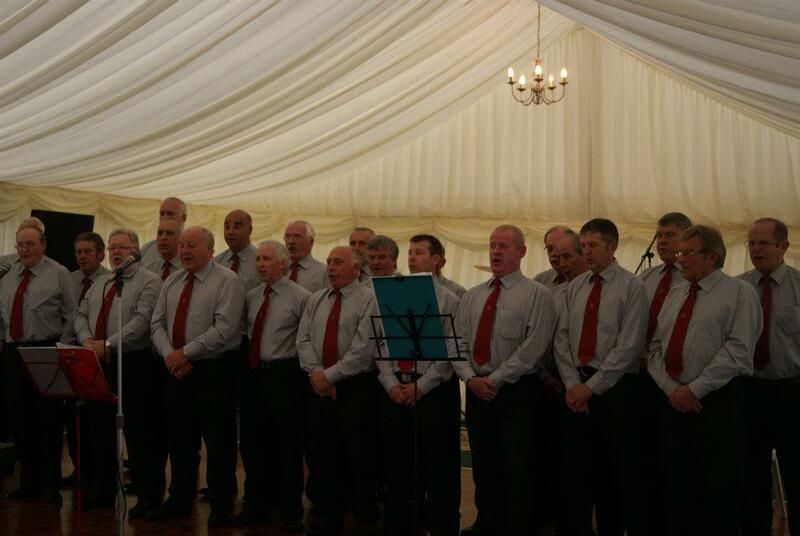 The choir were invited to take part, together with Geraint Woolford to provide some entertainment at the Ruthin Forward Group’s Auction of Promises at Ruthin Castle. 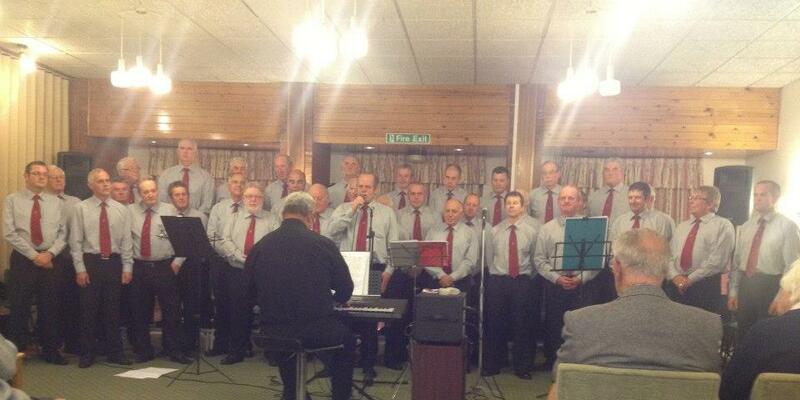 The evening was a great success with Geraint and the the choir on form. 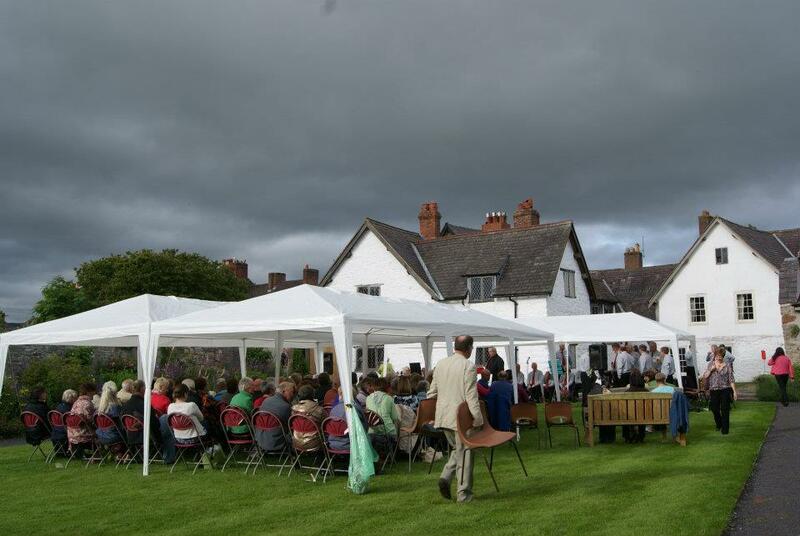 October 19th 2012 Rhewl Chapel. The Choir took part in a concert at Rhewl Chapel to raise funds for the local appeal towards next year’s National Eisteddfod in Denbigh. 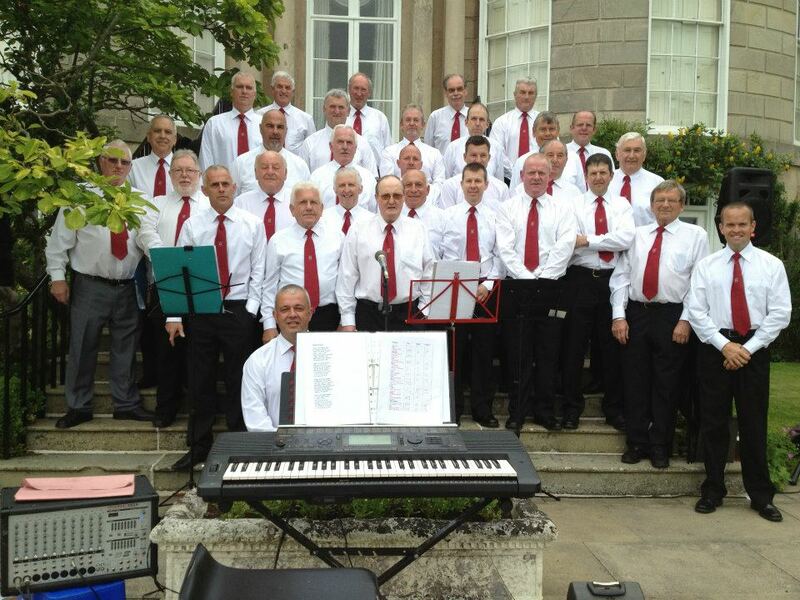 The local appeal for the Llanynys Community needs to raise £5000 and they are over half way – the next event is an Auction of Promises to be held at the Drovers on November 30th – the Choir has offered an item – A concert by Cor y Porthmyn within a reasonable distance from Rhewl. It was the first time for most of the members of the choir to sing in the chapel and they were amazed at the comfortable seating and the excellent acoustics. A lovely evening was enjoyed by all the soloists were Geraint Evans, Merfyn Evans, Robin Dowell, Eirlys Jones, Wyn Jones, Brian Hughes, Harri Owen and John Jones; Gwynfor Jones was the MC. Dioch yn fawr i Sian Eryddon am y geiriau caredig, ac wrth gwrs y merched am paratoi y caennau ar Bara Brith bendigedig yn y Festri ar ol y cyngerdd. 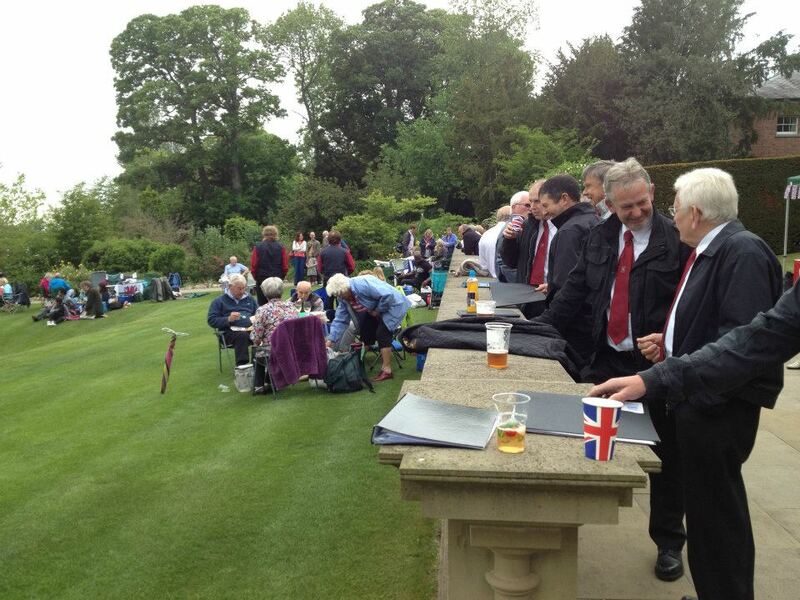 The choir took part in the Gardening Club’s Food Festival in the Pavilion and a very enjoyable evening was had by all. The Choir obviously enjoys singing at home. Hero of the night was Bov who was able to find a replacement keyboard on finding that his own two keyboards were out of commission the previous evening. 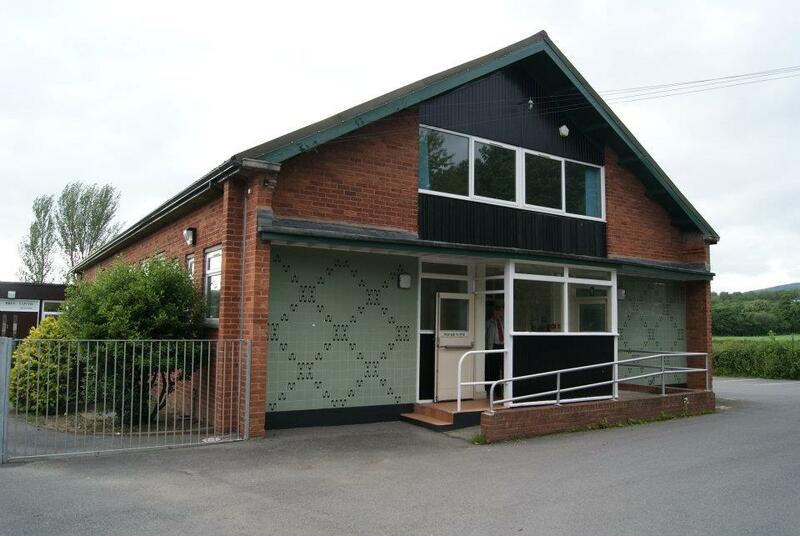 The choir was delighted to accept an invitation from the Llangynog Village Hall Committee to hold a concert in the Hall to raise funds for a refurbishment of the building. Llangynog is a lovely village nestling at the the foot of the Berwyn on the Powys side and the choir enjoyed the coach trip across the mountain on a beautiful evening. The choir, uncharacteristically, started their repertoire in uncertain fashion but were able to pull themselves together by the end of the evening; with their last two songs, which included debutant ‘Let it Rain’, earning standing ovations. The Ladies of the Hall Committee provided a lovely supper and the evening ended in the Tanat Valley Hotel with a few beers and many a song. 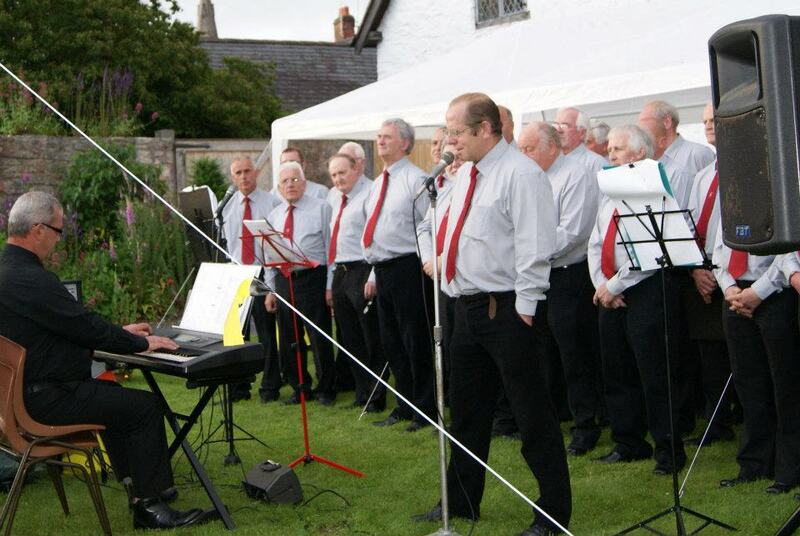 The choir sang at the Ruthin Flower Show which proved to be a very successful concert in the open air and with beautiful weather; the choir were delighted with the responses from a large appreciative audience. 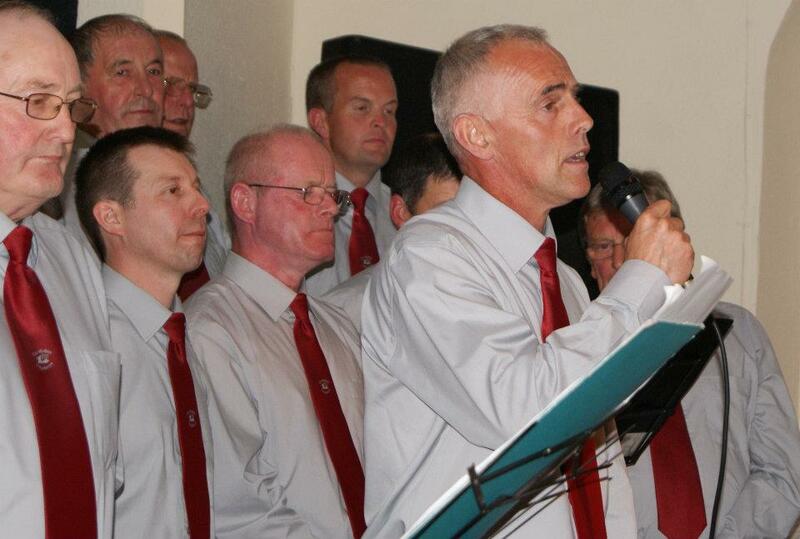 The guest soloist was Mr Geraint Woolford who sang ‘I Believe’ with the choir. Mae na llun o’r côr yn “diddanu’r dyrfa” ar tudalen 11, rhifyn mis Medi o papur bro Rhuthun ar Cylch sef Y Bedol . Yn y run rhifyn mae yna lun o gôr Llangwm – ennillwyr cystadleuaeth Corau Meibion canol Eisteddfod Bro Morgannwg – llongyfarchiadau iddyn nhw ac yn arbennig Ifan a Merfyn. August 4th -The Brookhouse Mill, Denbigh. 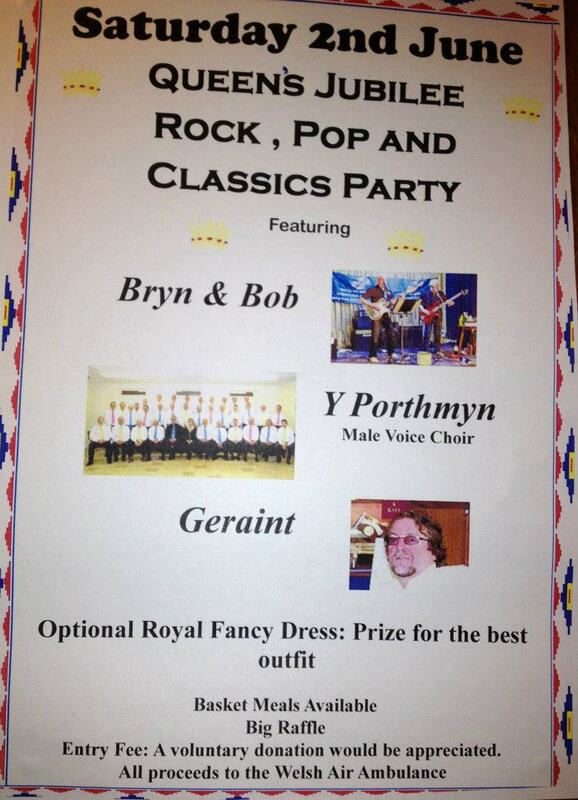 This event was held in the memory of Mrs Owenna Roberts (Bod Aeron). 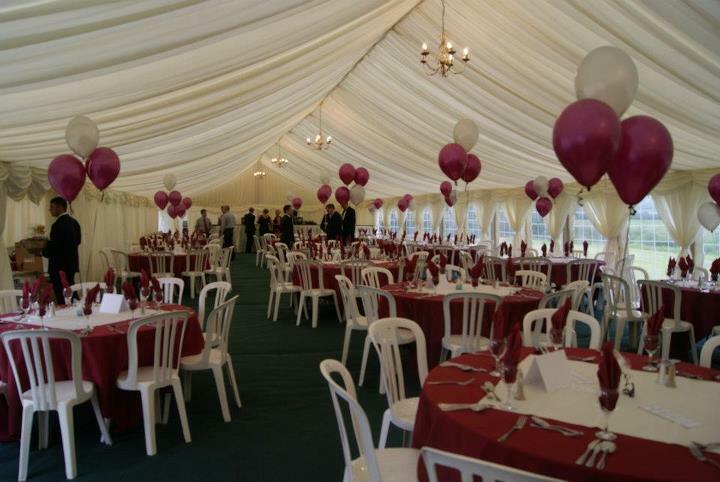 Mr Huw Hilditch, the organiser of the event and son of Owenna, reported on a very successful evening with over £6000 raised with the proceeds going to Cancer Research. 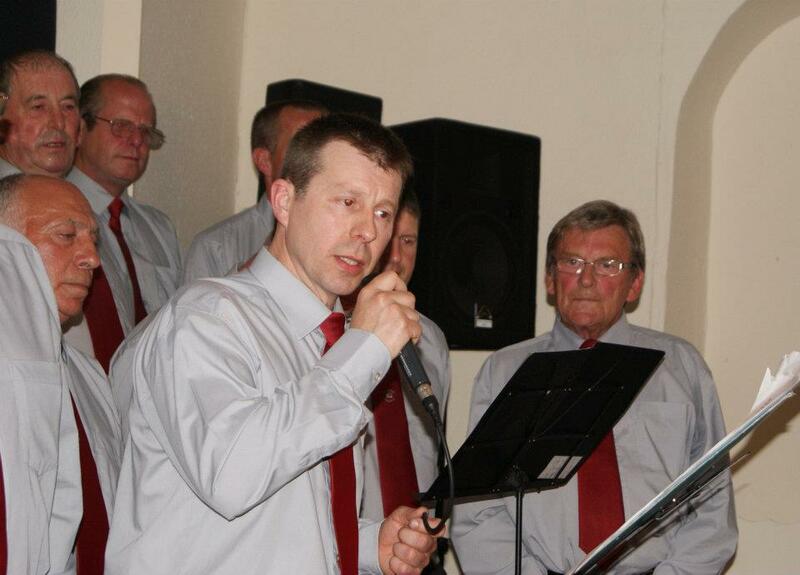 This was a big night for Rob and Brian singing on home ground for the first time(officially that is); from all the kind comments we received it was a resounding success with everyone enjoying a lovely evening. 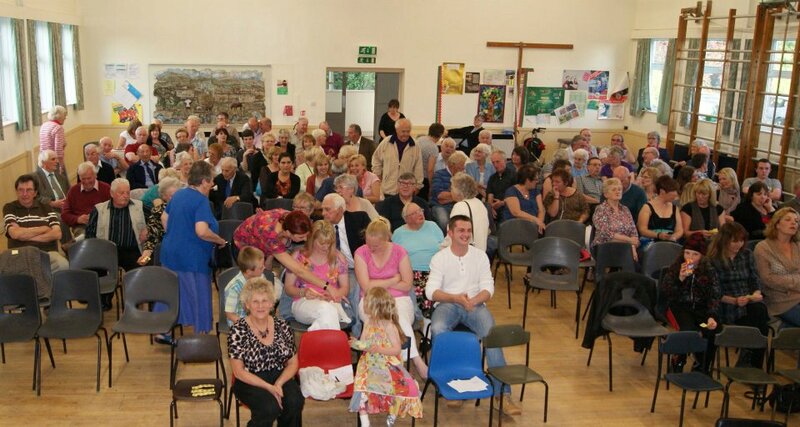 All the seats in the village hall were taken and Grace on the door sold loads of raffle tickets to bolster the Llandyrnog Sports Committee funds. The Choir were very well looked after by their hosts with a cup of tea and a scone at the half time interval and after the concert we were treated to a lovely supper at the Kinmel Arms. Thanks to Kevin and the committee for the welcome. 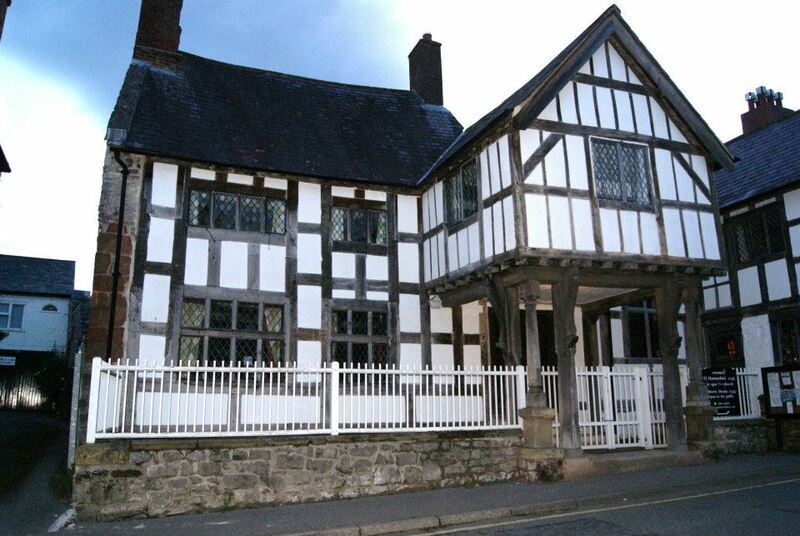 Nantclwyd Y Dre (Nantclwyd House) is the oldest surviving timber-framed town house in Wales. dating from 1435, the house was added on to in the Jacobean, Restoration and Georgian periods, and was in constant occupation until 1984! The house is interpreted with information downstairs on the people of the house, and upstairs and in the hall in the “seven ages” of the house. Each room represents the house in one of these “ages” – Medieval Hall House; Jacobean Mansion; Restoration Town House; Georgian Dwelling; Victorian Girl’s School; Early Twentieth Century Rectory; Modern Family Home. Nantclwyd Y Dre is home to around 100 bats, from 3 species – Lesser Horseshoe, Long-Eared, and Pipistrelle. There is a live “Bat-Cam” in the house, showing the bats as they roost in the attics of the house, so I hope we didn’t disturb them. 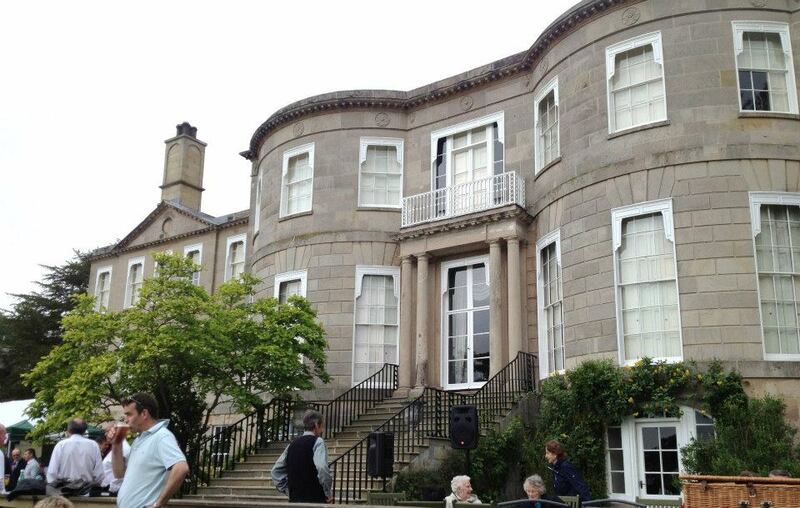 The location was wonderful – Brynbella is one of North Wales most famous stately home which was built by Hester and Gabriel Piozzi in 1794 on Hester’s Bachygraig estate in Tremeirchion. Hester was a descendant of Catrin of Berain who was known as Mam Cymru ( Mother of Wales) due to her number of descendants – she has a link with Rhewl as her 4th husband was Edward Thelwall of Plas-y-Ward who she married in 1583. The Thelwall lands included the Ruthin Castle estate – canny lady- she is laid to rest in Llannefydd church. The house is in the style of an Italian Villa with two bows flanking the two, front wings on either side a flight of steps leading to the door, a balcony outside the windows leading to the porch and several stables and outhouses at the rear. 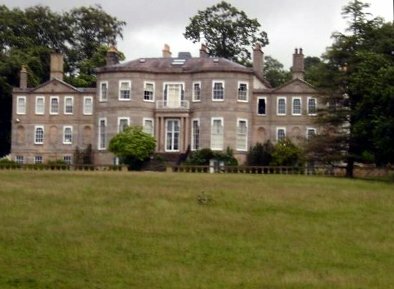 The house faces west, above a stream leading to the River Clwyd. Piozzi diverted the trout stream to flow near to the kitchen. 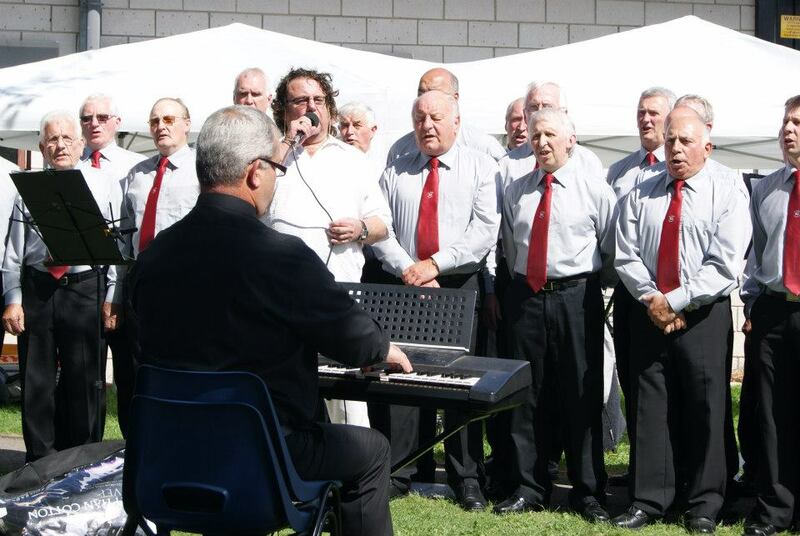 The choir was able to sing their full repertoire with the following soloists : Geraint Evans, Merfyn Evans, Eirlys Jones, Wyn Jones, Brian Hughes, Rob Dowell, Harri Owen and John Jones; Gwynfor Jones was the MC. Brian Hughes for the first time took the soloist role in the Angel. 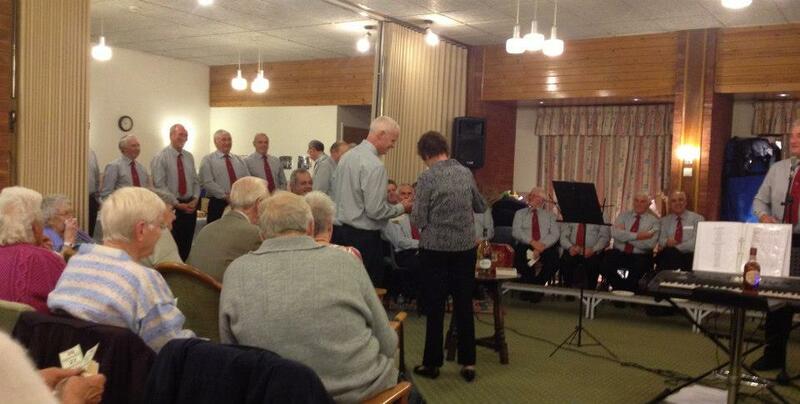 A very successful concert was held at the Ruthin Conservative Club to a full house. 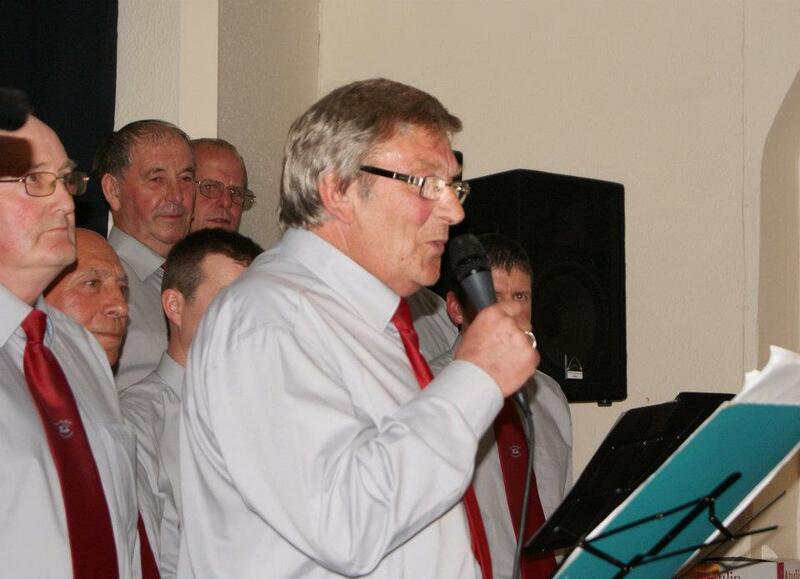 The Concert was organised by Mr Geraint Woolford and was part of the Club’s Jubilee Celebrations as well as raising funds for the North Wales Air Ambulance service – over £900 was raised for this excellent cause.. 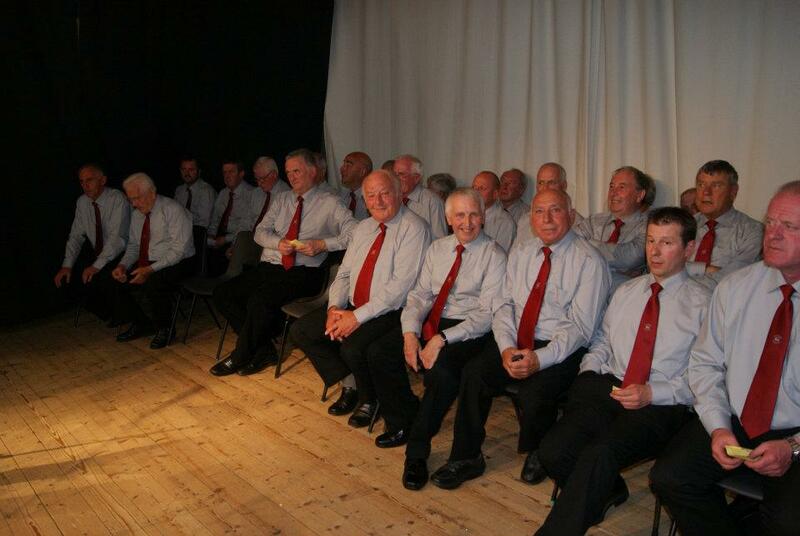 Taking part was Bryn and Bob, Cór Y Porthmyn and Geraint Woolford, Gwynfor Jones was the MC for the choir. 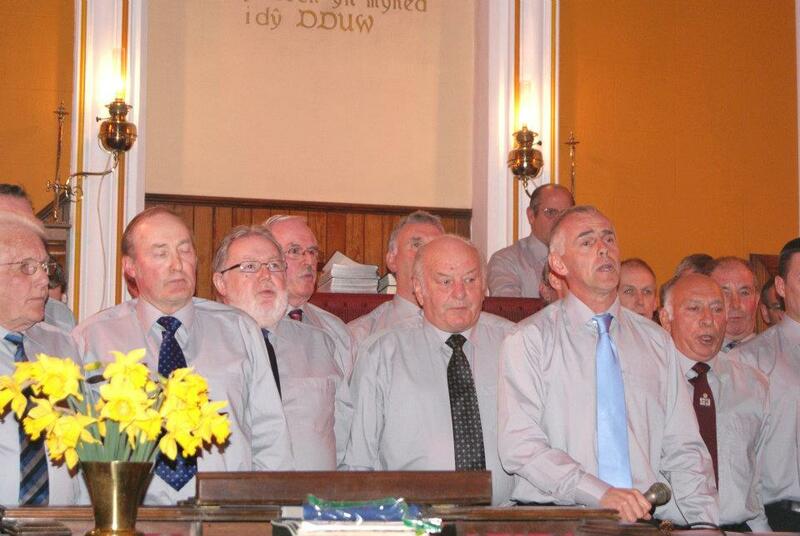 Eirlys Jones, Wyn Jones, Brian Hughes , John Jones and Robin Dowell were the soloists with the choir. Mr Woolford in a letter to the Free Press thanked the entertainers taking part and reported on a total of over £900 being raised for the North Wales Air Ambulance service. 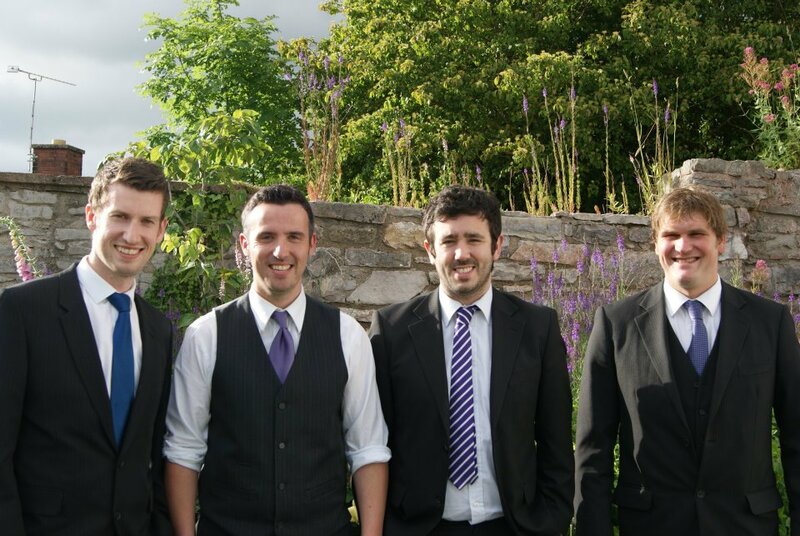 A Concert was held in Cyffylliog Church on Thursday May 10th – the proceeds of the evening going towards the upkeep of the Church. It was nice to have John Price back with us after some ill-health. The ladies of the Church had prepared a wonderful supper for us in the Red Lion and a very enjoyable evening was had by all. Yn rhifyn Mis Mehefin or Bedol, yn colofn Cyffylliog, disgrifwyd y noson fel un pleserus a codwyd elw teilwng at waith cynnal a chadw Eglwys Santes Fair. 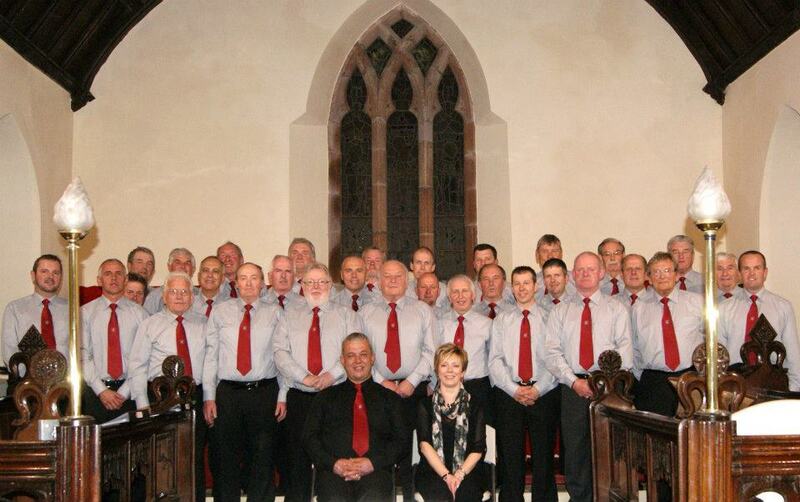 The Choir were wearing their new ties and shirts in the Cyffylliog Church concert. 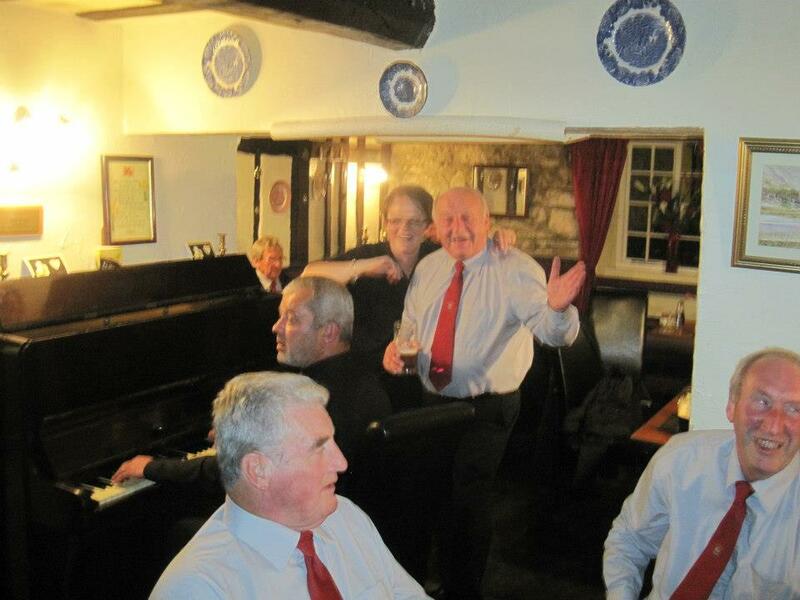 The Choir would like to thank Gwynfor Jones and Rob and Michelle at the Drovers Arms for their generous contributions. 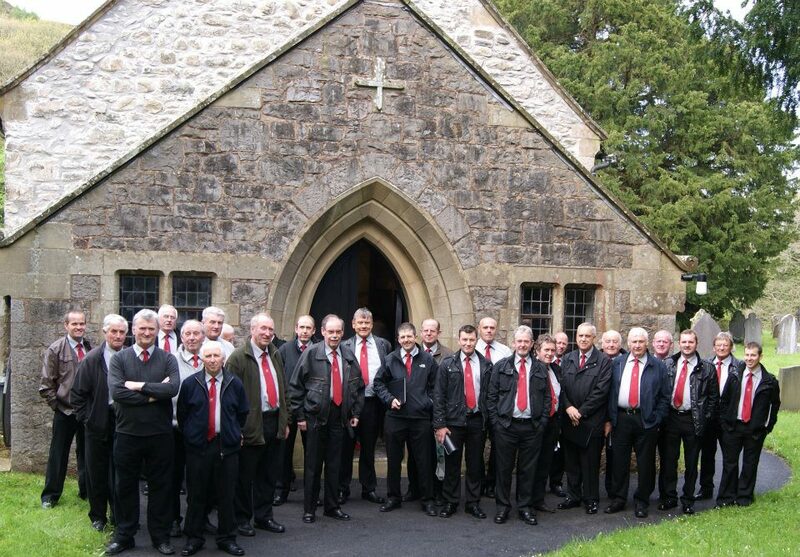 The Choir held a concert in Capel Melin-y-Wig on Friday 23rd March, 2012 in aid of local charities. 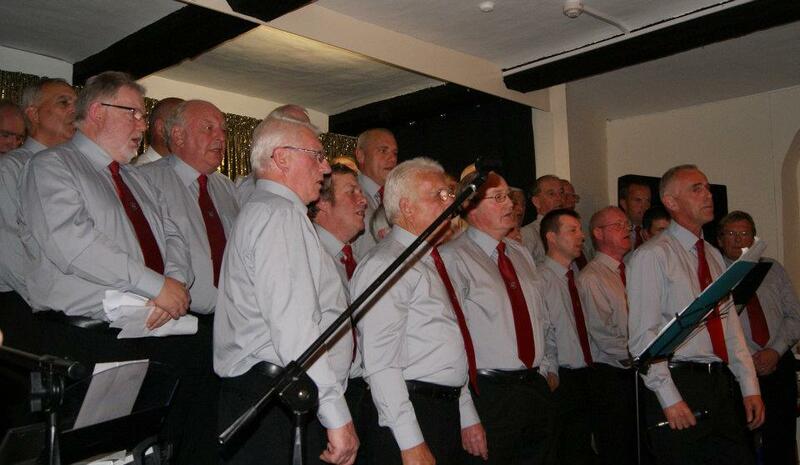 It was a very enjoyable evening enjoyed by both the audience and the choir. The M.C. for the evening was Gwynfor Jones, soloist were John Jones, Geraint Evans, Merfyn Evans, Brian Hughes, Gwynfor Jones and Bov’s sister Eirlys. 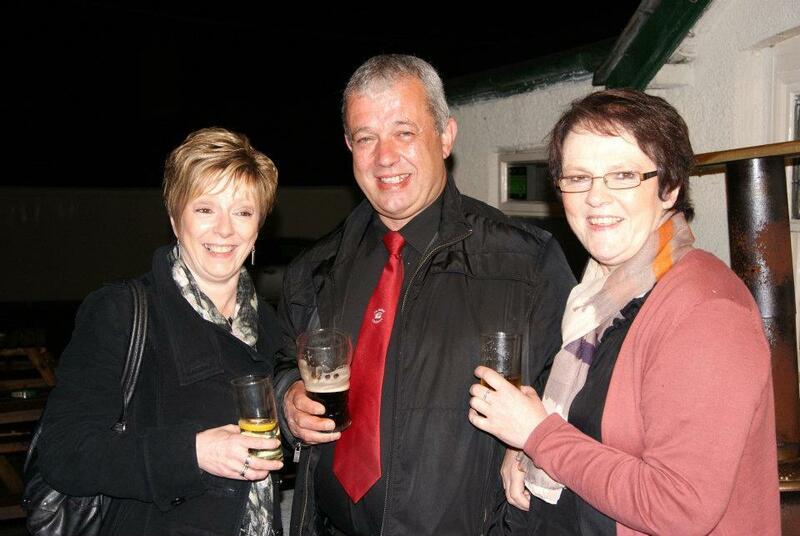 After the Concert the choir enjoyed some excellent refreshments in the Community Hall. 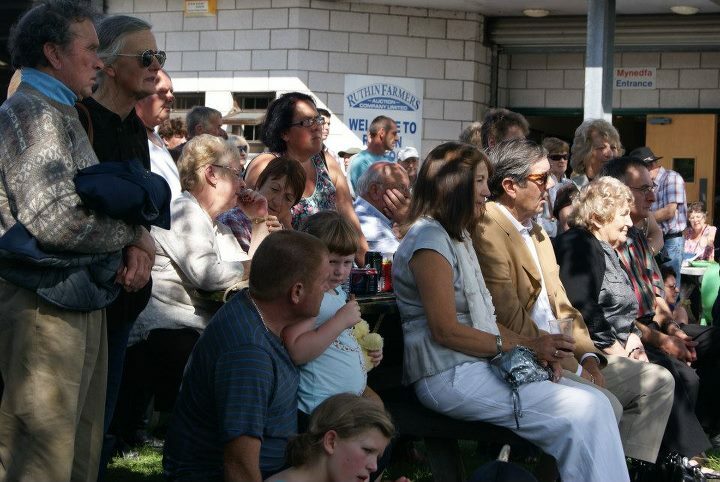 In the Melin-y-wig column of the local Welsh monthly – Y Bedol – it was reported that an excellent concert was enjoyed by all. Diolch yn fawr am y geiriau caredig. The Choir went ‘international‘ on Friday, January 27th 2012 when they performed in a concert in Oswestry for the local Marie Curie Cancer Care Fund-Raising Committee. The concert was very succesful with over 150 tickets being sold. 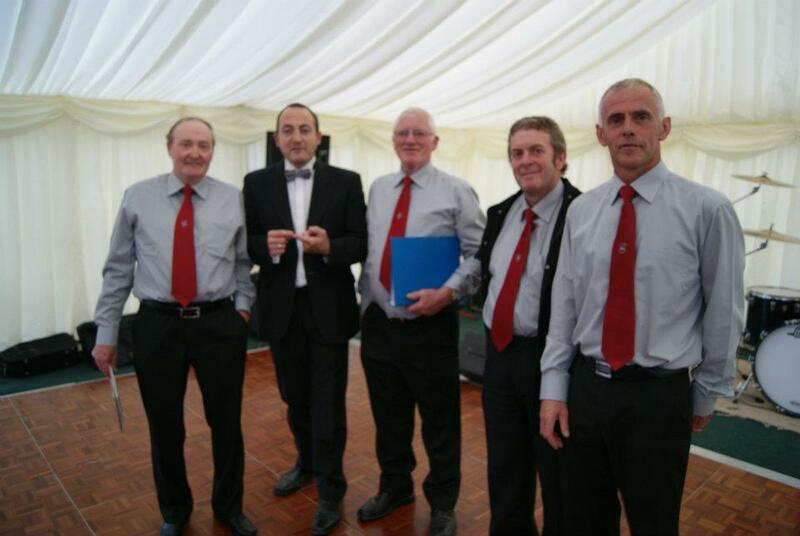 A number of soloists took part namely John Price, John Jones, Geraint Evans, Merfyn Evans, Brian Hughes, Gwynfor Jones and Bov’s sister Eirlys.